Killyman RBDC No.1 supports the Grand Master’s Appeal for 2017. 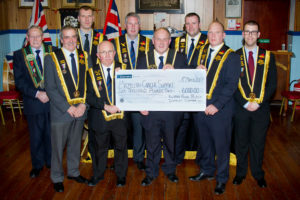 Killyman Royal Black District Chapter presented a cheque for £6000 to the Grand Treasurer, Sir Knight David Livingstone, towards the Grand Master’s Appeal for the Designated Charity, MacMillan Cancer Support. 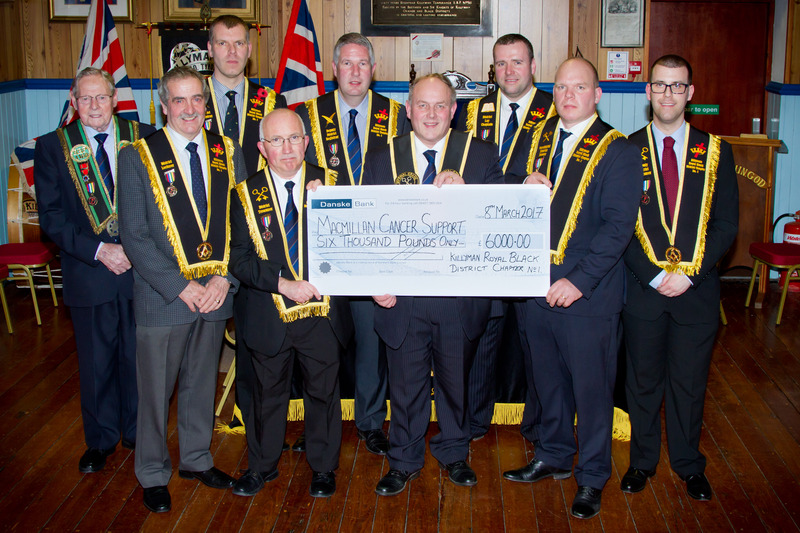 The total presented to MacMillan from the Institution was £95,000.